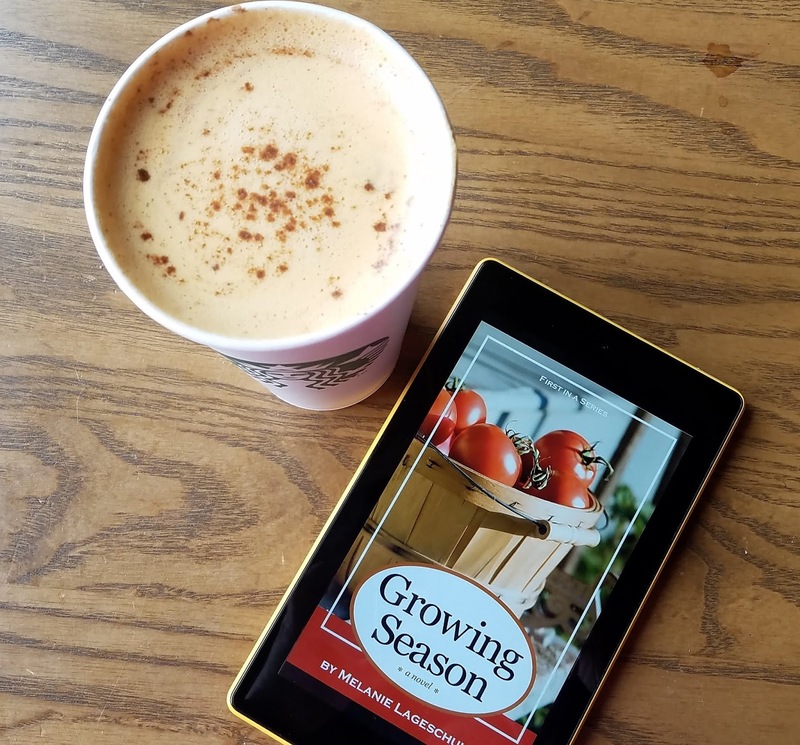 Today, this Pumpkin Spice Latte and leisurely few minutes to sip and read are my rewards for checking off a big item on my list. That big item was something that I avoided for almost two years -- a visit to my doctor for my annual exam. I took the day off, went to my 10:00 am appointment and was discharged an hour and half later. I like my doctor. She spends time with me to answer medical-related questions and explain stuff. The lab test was normal. I left the clinic with a clean bill of health. Thank you, Lord! This post is really about my decision to embrace a minimalist lifestyle. I have been thinking about de-cluttering and living in a space that is free of excess. I already started last year by donating clothes that I no longer wear. I love my clothes. Many of them were sent to me by my parents from the Philippines to cheer me up while living away from home. Some of them I bought during my travels. Most of them did not fit me anymore. Yet, I still have a hard time giving them away. What helped me to finally let them go was the thought that I enjoyed wearing them and now it was time for others to enjoy them as well. This year I am doing a lot more. This blog, "Becoming Minimalist" inspires me. I also have not read "The Life-Changing Magic of Tidying Up" but a friend of mine told me that according to the book, if an item no longer brings you joy, you should get rid of it. So I have been asking this question whenever I am feeling indecisive if I should donate an item or not. CONVERT MY COINS INTO "CASH"
At Safeway Grocery in my neighborhood, there is a Coinstar machine. I cashed in my coins into an Amazon e-card. I got $19.83. And it is burning a hole in my pocket! Maybe I will buy an e-book, or something. There is a choice to get cash instead of Amazon but Coinstar charges an 11%. transaction fee. If you choose Amazon, you get the value of your change 100%. TIP: Put your coins in a jar where you can easily grab it to take to Coinstar if it is available where you live. Or, you can do it the old-fashioned way by rolling them up in paper and take them to the bank. Or just give them to someone who really needs an extra cash like a person who is experiencing homelessness or a charity institution. I went back home and loaded my car with the 5 ft beautiful wood frame that used to house a giant mirror. My cat broke the mirror a year ago. I am so glad that he was not hurt when he bumped into the mirror and it broke into thousand pieces (literally!). I took it to The East Bay Depot For Creative Re-Use whose mission is to up-cycle material things to be used in classrooms or by anybody who cares about the environment. In the process of donating the wood frame, I also brought the wine corks that I have been collecting over a couple of years and donated these as well. TIP: Have a bag in your kitchen where you can just put the corks. That way when you get the time to donate, you can just grab them. One of my most favorite things about where I live is having access to Free Libraries on almost every street. These are boxes where you can drop off books and get books for free. Such a cool community concept of "Take a Book/Share A Book" ! Today, I put books again in Free Library box in my street. 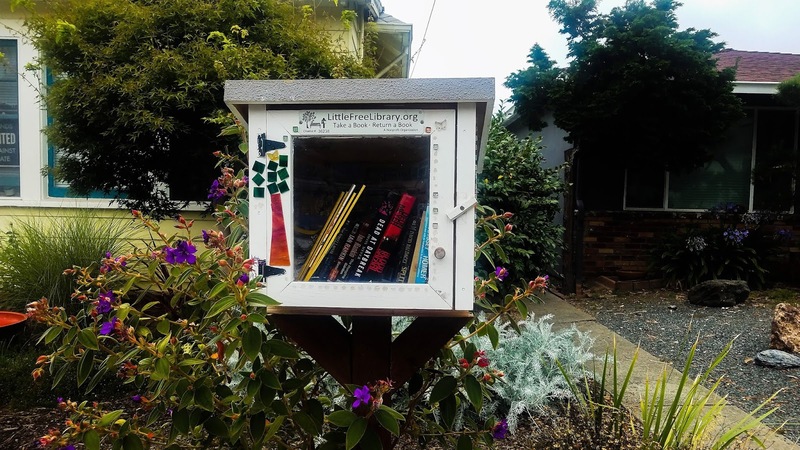 TIP: Either drop your books off at these neighborhood Free Libraries, or your local library. You can even sell your books at second-hand bookstores. Or start a Little Free Library in your area if there is none yet! Then I did some gardening by chopping off a bush that is not doing so well and trimming plants to get them ready for fall. I also packed for my business trip tomorrow. Finally, I cooked dinner for Mr Sweetie for tonight and chili in the slow-cooker for tomorrow night while I am away. I'll say that it has been a productive day! Stay tuned for more tips on minimalist living on my blog! Giving things away is not only addictive but so satisfying!